Every wonder about the other person on the end of that line when you call customer support? What’s the best to end up getting what you want? Are there any secrets, tricks, or tips to help you out? Luckily this week we have one of American biggest technology consumer advocates on our side, friend of the show, Gabe Goldberg. Gabe Goldberg is a technology communicator and consultant. He’s written hundreds of computer press articles, has contributed extensively to consumer publications such as the Washington Post and Web sites such as AARP and slickdeals.net, and co-authored three McGraw-Hill technology books. Gabe speaks frequently to diverse audiences, from techies to baby boomers and senior citizens, always avoiding jargon and techno-babble. And he strongly supports community-based technology resources. Brooklyn: On the CUSP of Something Big? “Likes”, tweets, apps, downloads, and text messages, oh my! 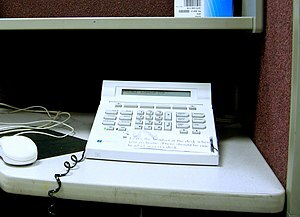 As the landscape of technology explodes with innovations and new gadgets almost daily, the digital divide continues to broaden for “digital immigrants” (those baby boomers and beyond who were not born with a mouse and keyboard in hand), while “digital natives” take to it all like fish to water. Abby Stokes, author of “Is This Thing On? A Computer Handbook for Late Bloomers, Technophobes and the Kicking & Screaming, offers a reassuring, jargon-free conversation to let the digitally challenged in on what everyone else is talking about. Abby Stokes has demystified computers for over 140,000 people, mostly seniors, in the course of the past 17 years. Abby has taught courses in basic computing at both Cooper Union and New York University’s School of Lifelong Learning, as well as computer skills to private and corporate clients. She has lectured on the topic across the country. A firm believer that “if my mother can learn the computer anyone can,” Abby is confident that everyone can master the computer and navigate the Internet. 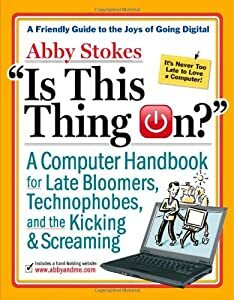 Abby’s best selling book “Is This Thing On?” A computer Handbook for Late Bloomers, Technophobes, and the Kicking & Screaming has just been updated. With the availability of so many cloud backup providers, what are the important qualities to look for in a backup provider? What should customers look for when choosing a backup provider? What are the new and cutting edge cloud services beyond backup that will change the way people and businesses secure, use, access and share data? To help explain all this, we have Gytis Burzdukas from Mozy to help explain all this for us. Gytis and his team are responsible for Mozy’s product strategy and roadmap. They work with Mozy’s engineering organization to bring products to market that address customer needs for cloud backup and information access. Prior to joining Mozy, Gytis spent 12-plus years in product management at Microsoft where his career highlights include establishing the SharePoint Server business, leading Microsoft’s Office product management team during the release of Office 2003, and heading up planning for Microsoft’s Windows Live Platform.